Are you struggling very hard to gain organic traffic to your website, get more leads or improve your client base? If yes, then there is a high possibility that the bounce rate of your website is very high. Now, accepting that your site has a higher bounce rate and doing nothing is just like throwing all your money away. Most enterprises invest heavily to increase the site traffic, but often forget to consider the most important factor that is the “Bounce Rate”. 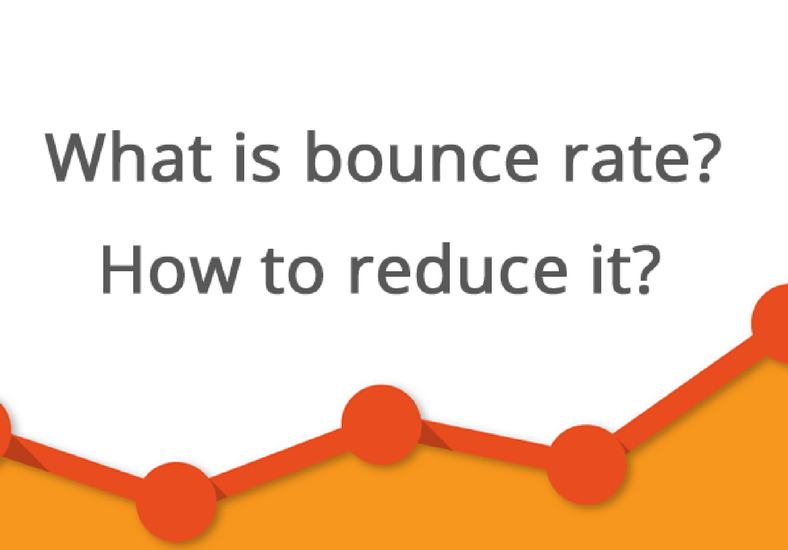 What is meant by bounce rate? A bounce rate is the percent of the site visitors who visit your website, but leave the site without going deeper into the site that is without visiting other pages on the same domain. For example, if you see that your bounce rate is 50% in Google Analytics, then it means that 50% of your website visitors landed on a particular page and left the site without taking any further action. High bounce rates often mean that your website has nothing attractive, lacks a well-organized landing page and etc. Bounce rates also refers to the stickiness of your site. Are your viewers hanging around or are they simply leaving your site soon after they enter? The bounce rate suggests that your visitors either did not find what they were looking for or the page wasn’t user friendly. One main reason that your customers are leaving your site is the lack of readability of your content. A better user experience always begins when your website content is legible and also readable. Often large chunks of content tend to scare away the readers, so it is better to avoid them. Loading speed of your site plays a crucial role in the search engine ranking factor. A slow website will always have a negative effect on your visitors who will not wait for a long time and most probably shift to your competitor’s site. This will of course increase the bounce rate of your site. Your website should load within the first 2-3 seconds without giving any opportunity to the visitors to browse other websites. Popups often disrupt the UX and users often find it annoying to see irrelevant popups on the site. Though marketers often prefer to use popups for promoting their products or services, but if you are looking for long term benefits, then consider limiting or avoiding popups. Creating interesting headings for your web content is very important, but you must not use clickbait posts that often cause more harm than good. Visitors often have a great eye and can easily filter useful content from clickbait that actually don’t add any genuine value. So, to improve your bounce rate, avoid any clickbait links on your site. Reports have stated that about 47% websites have a clear call to action button that takes only few seconds for the users to see it. Do you belong to that section? After creating an interesting headline to develop interest and engage your visitors, it is time to make them take the action to buy or at least think about it. To keep your customers engaged, it is always important to post fresh blogs with informative content. This helps to generate about 126% more leads and increase the stickiness of the site. This will also help you to build momentum and establish credibility. The readers will become repeat visitors, which will help to increase the conversion rate. Though bounce rates directly don’t affect your website, but it is definitely important to hold your visitors and increase the conversion rates. Following the above mentioned tips will surely help you reduce it and increase the stickiness of your website.